The main event has Featherweight champion Max “Blessed” Holloway moving up to Lightweight to rematch Dustin “The Diamond” Poirier; with an interim title belt on the line. Holloway is on an incredible thirteen-fight win streak, with a pair of successful title defense. We last saw Holloway in action at UFC 231 taking out Brian Ortega. Poirier has won eight out of nine fights since moving up to Lightweight and is on a four-fight win streak. Poirier has won his last three by TKO. 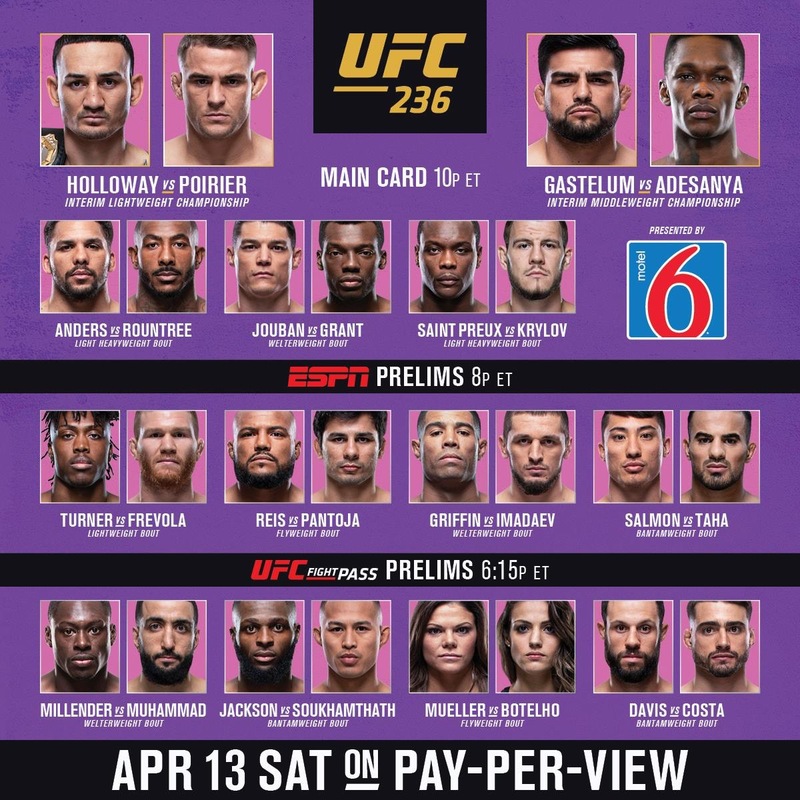 The co-main event has Kelvin Gastelum vs. Israel Adesanya “The Last Stylebender” for an interim Middleweight title. Gastelum has won four out of five fights since moving up to Middleweight, the last two wins coming over Michael Bisping & “Jacare” Souza. Adesanya is unbeaten in Mixed Martial Arts, including five wins inside the octagon; the most recent a decision win over Anderson Silva .